Fail2ban is a very useful application for the system administrator. It is very helpful to make your server more secure. Fail2Ban scan logs file and has the ability to ban IP’s which is malicious based on the configuration rules. Fail2ban will add a new rule to IPtables and block the IP address of the attacker for some species of time or permanently. Fail2Ban is primarily focused to secure server with SSH attacks, but you can do with other service configuration also. 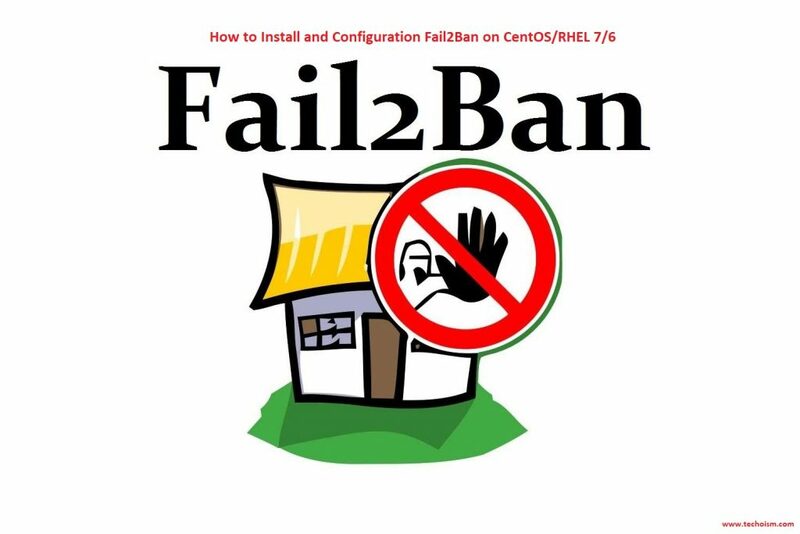 This article will help you install Fail2Ban on CentOS/RHEL on 7/6. Fail2Ban is not available in the official repository. So first we need to add EPEL repository on a server to install Fail2Ban. After installing the required repository use yum command to install the fail2ban package. Fail2Ban provides its own security configuration files fail2ban.conf, but if you want to make any changes it will be best to do in the separate file fail2ban.local. After making local configuration file you can do some basic configuration as per your requirement. # so add your system ip to protect your ip from banned. #"bantime" is the total number of seconds that a host is banned (3600sec = 1 Hour ). To receive an email when fail2ban is triggered, adjust the email settings in fail.local file. After making all the changes save your file and restart Fail2ban service.